As has been the case pretty much this entire season, Grey’s Anatomy aired a solid episode this week. Fans got to see an exciting (and rare) medical case unfold, as well as some juicy relationship drama and touching interactions between our favorite characters. But, if we’re really being honest, none of that matters. The only thing that matters is that Meredith mentioned Derek, y’all. 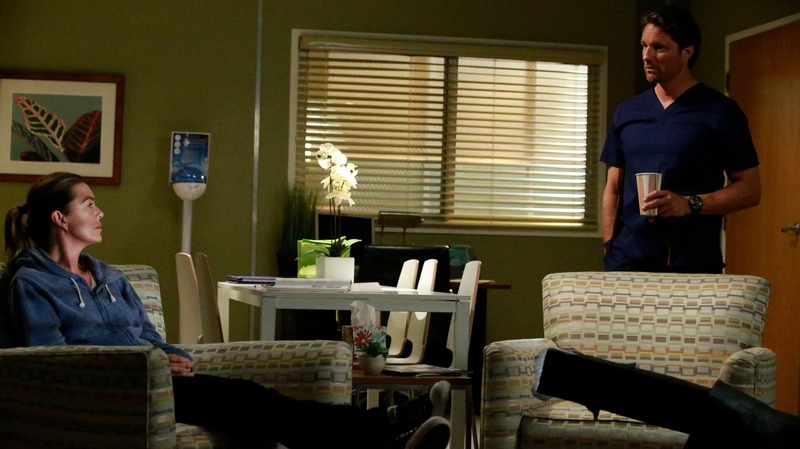 More: Could Shonda Rhimes be staging a Grey’s Anatomy spinoff for Karev? To be clear, it’s not that that the rest of the episode is now irrelevant because it wasn’t interesting. I mean, c’mon… a woman literally came back from the dead! After seeing her husband’s dead body following a car crash, she went into cardiac arrest. She flatlined and, after 45 minutes, was pronounced dead. Only, when one of her daughters came into the room to say goodbye to what she thought was her mother’s dead body, her mom sat straight up and gasped for air. What the what?! You don’t see that everyday. Another interesting element of this week’s episode? The lingering drama from the whole Alex/Jo/DeLuca drama. Arizona actually expressed some lovely empathy toward DeLuca, which was surprising to everyone — including DeLuca — considering her friendship with Alex. I will also have to admit that, for the first time in a long time, I really liked Amelia this week. She managed to be both endearing and badass in equal measure, acting as a trusted confidante for Maggie and as the voice of reason for the grown children of a patient. And, of course, you have the whole strained but intriguing to watch dynamic between Maggie and Meredith at the moment. Meredith still hasn’t come clean about her trysts with Riggs or her feelings for him, and instead keeps shrugging it off anytime Maggie tries to vent to her sister about it. See? Lots of great viewing material there. Yet, still, all of it was essentially rendered irrelevant by one moment mere minutes long. 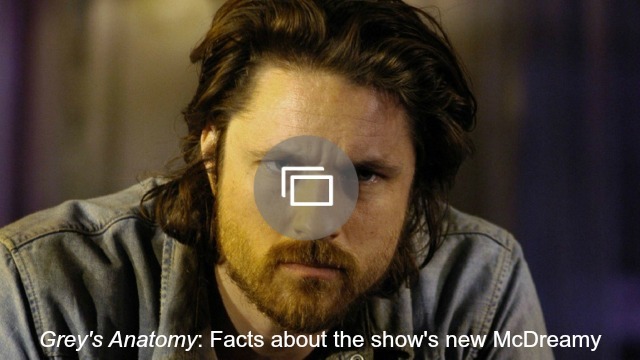 As Riggs is scrubbing in for a surgery, he and Meredith discuss the patient who miraculously came back from the dead and how it would feel to get someone back you thought you had lost. At that point, Riggs asks Mer if she has ever had the perfect dream. “The perfect dream?” she asks, perplexed. So he explains that, for him, it was waking up to his late fiancée making coffee one morning, as though nothing had ever happened. At first, Meredith feigns ignorance and leaves the room. But moments later she reappears and says that, for her, it is a knock on the door. She answers, and Derek is standing there, saying he lost his keys and apologizing for being gone so long. BRB, gotta go bawl my eyes out. Why, Shonda Rhimes? Why did you do this to us?! As much as we longtime fans would love to say we have moved on and accepted Derek’s death, who are we kidding? We all melt into sad little puddles at the mere mention of his name, so a moment like this — one where Meredith reveals how much she still misses Derek — decimates us. More: What happened to DeLuca on Grey’s is awful, but can Alex not go to jail? Everything else was well and good, sure. However, our memory of them was erased the moment Mer made that confession and we felt those familiar pangs in our heart for, yes, a fictional character. RIP, Derek. See also: We’re still secretly holding out hope Mer’s perfect dream really will come true.